We continue to ask God to allow us to understand how to pray for the oral communicators of the world. That is peoples who prefer to receive and share information by oral means and formats, including the blind and deaf. Those who cannot hear in the way “we have traditionally used". We are realizing that many of these people groups are also desperately in need of His Scriptures. . . In a format they can really hear and receive. That looks differently for different peoples, but the reality is: 1,500+ people groups do not have ONE VERSE of Scripture and for the vast majority of the globe, they do not have access to the Word of God. 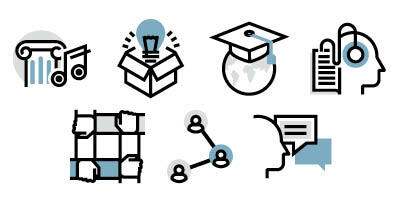 80% of the world’s population are oral communicators –people who do not read, or prefer to learn by oral-visual means. 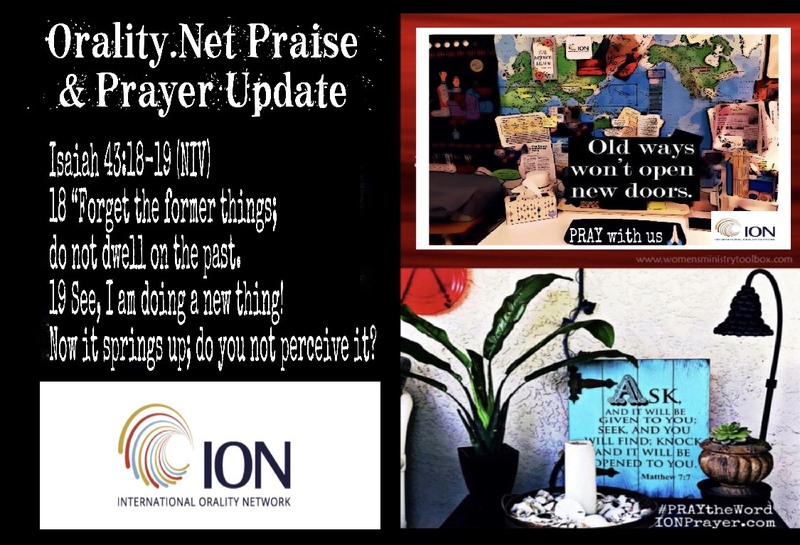 We invite you to pray with us for the next ION Regional Event & Emerging Regions. We invite you to continue to pray each month for the Orality Network (ION) as God continues to grow us. As you pray, for informed intercession, we invited you to visit the Orality website https://orality.net and as you go through the different areas of the website, please PRAY. PRAY for each of the orality events. Link into these events as you are able. 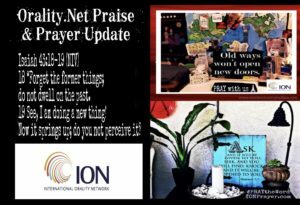 Pray for how ION works and who is involved. To help you to strategically pray for the way God is providing for more organization of the work of Orality. Thank you for linking and connecting in prayer.